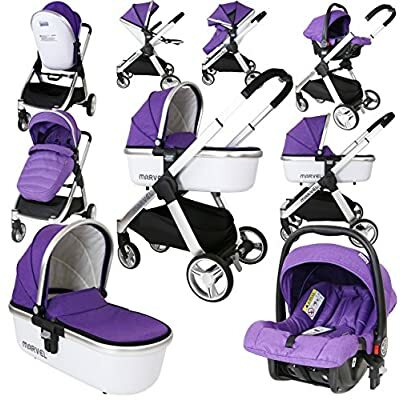 £275.00 (as of 25th April 2019, 11:28 am) & FREE Shipping. 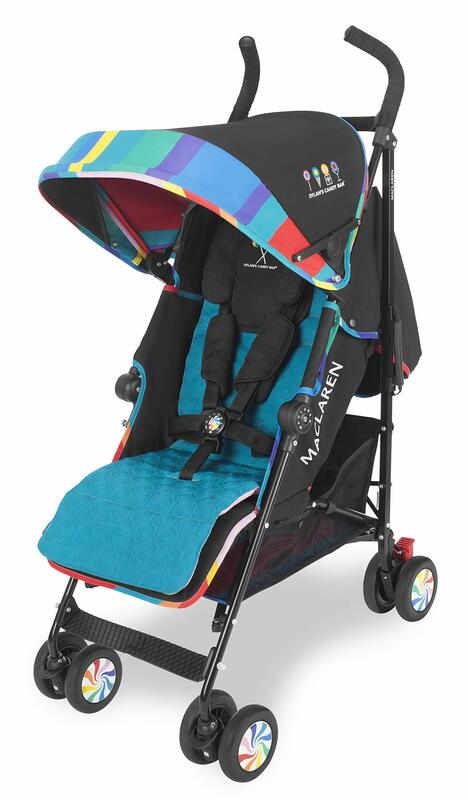 Basic weight of 5.8kg/12.8lb; Ideal for newborns and children up to 25kg/55lb. 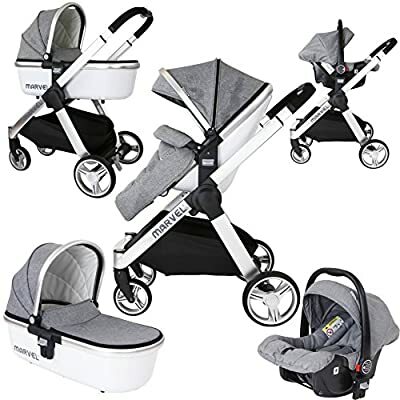 Full recline 4-position seat with convenient one-handed adjustment, extendable leg rest with memory position and built-in Newborn Safety System. Dylan Laurent and Maclaren celebrate art, fashion and candy by mixing the bold and cheerful patterns of Dylan’s Candy Bar’s with the trendy black on black surface of the Quest – for more peps at every step. 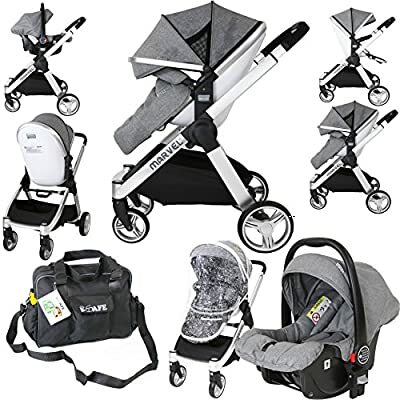 To make this offer even more appealing, this cane stroller with one-hand tilt and unfolding includes a padded and reversible liner for the seat as well as a high-end windproof raincover characterized by drawings Candy that falls from everywhere, in addition to a universal organizer, a cuddle head and shoulder cushions. 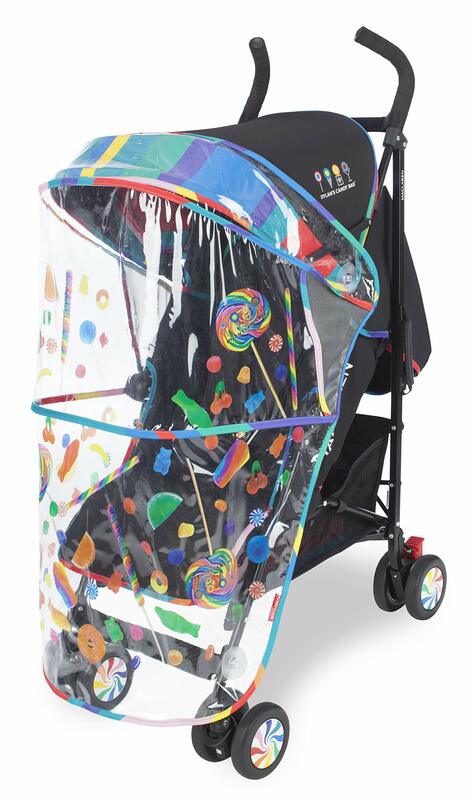 The Dylan’s Candy Bar Quest is sure to awaken the creative espirt and the child that is in all of us. 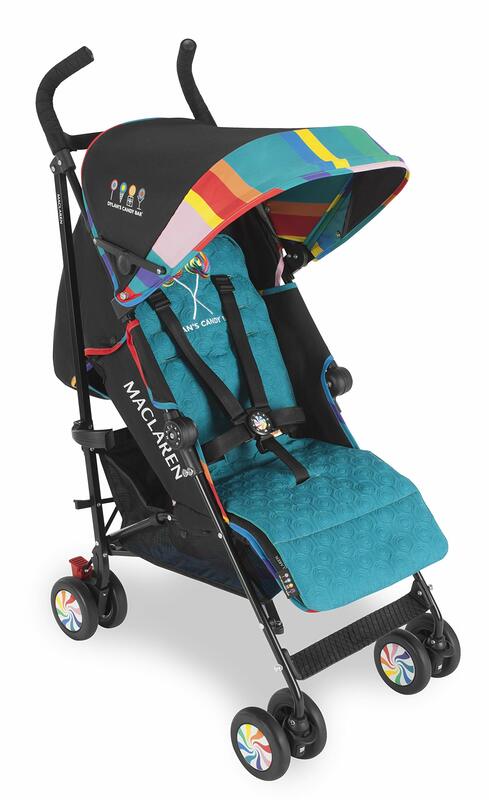 Maclaren is the only brand to offer a Sovereign Lifetime Warranty. To safeguard your investment, you must register your buggy with Maclaren within 60 days of purchase.